In response to the challenge to create a piece of work that promotes our own personal story, this artwork is inspired by the stunning work of Devin Miles who screen prints Pop Art onto large aluminium sheets of metal. The Portal is designed not only as a visual piece, but also as an interactive piece with subtle layers. 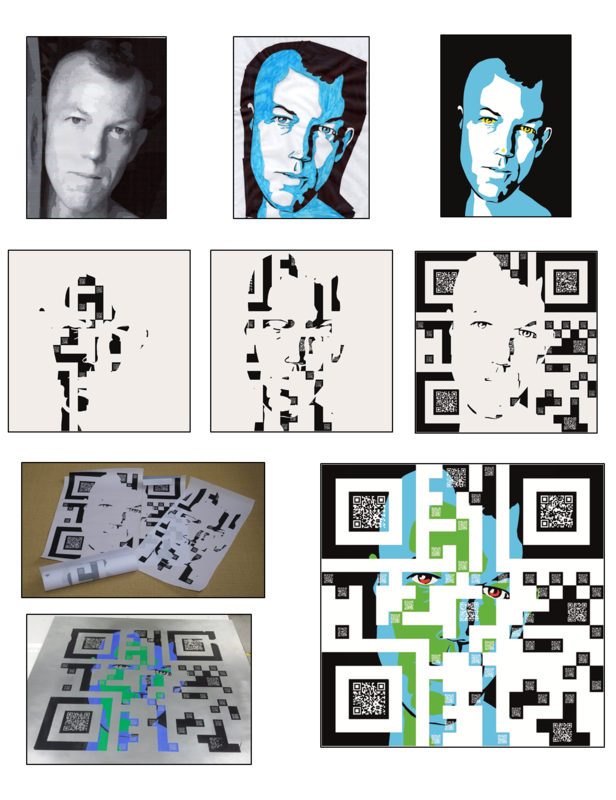 A portrait of me peers through a large QR code which if you were able to scan, would read “Ian Waft 2014” an electronic singing and dating of the work.The other individual 46 QR codes act as individual portals taking you through to different pages on a website “ www.chesterart.co.uk “ showcasing some of my work, my online blog, and aspects of my personal life and history. This is a constantly changing story, still being written, and the webpage is designed in a way that can be changed and updated to reflect this. 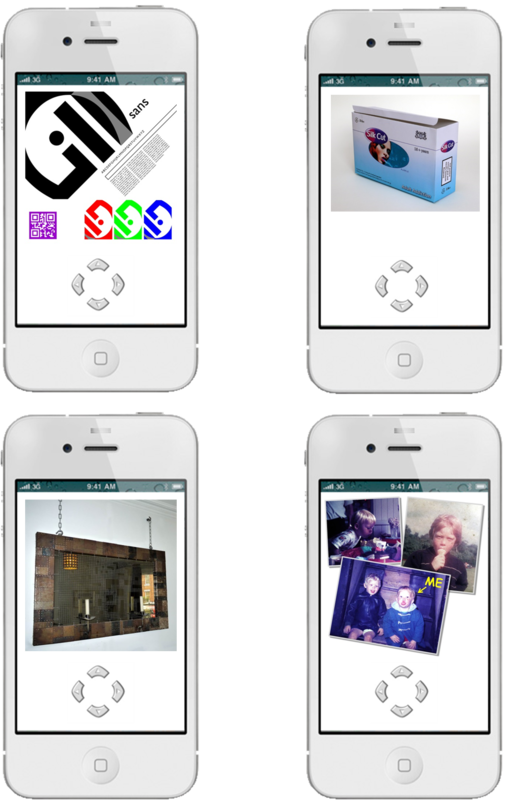 This website is best viewed on a mobile device, and the navigation is deliberately designed to feel a little random so each visitor has a slightly different experience. 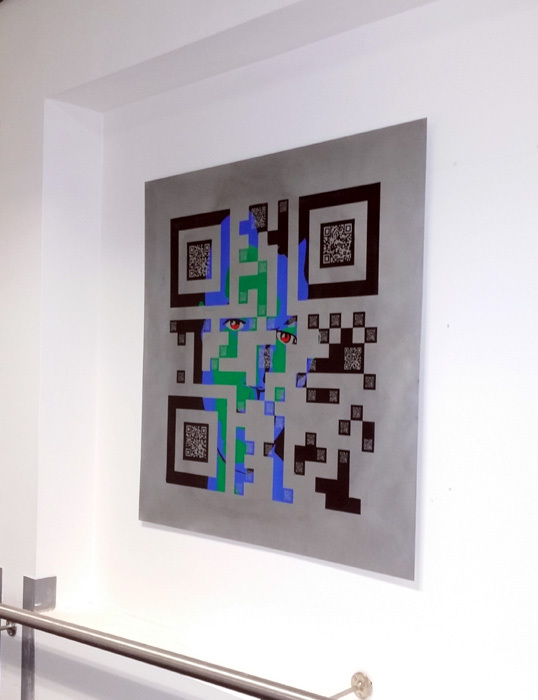 The work is deliberately printed onto a 1 meter square Galvanized piece of steel, as opposed to stainless or aluminium, to also enable it to be used as a magnetic notice board. 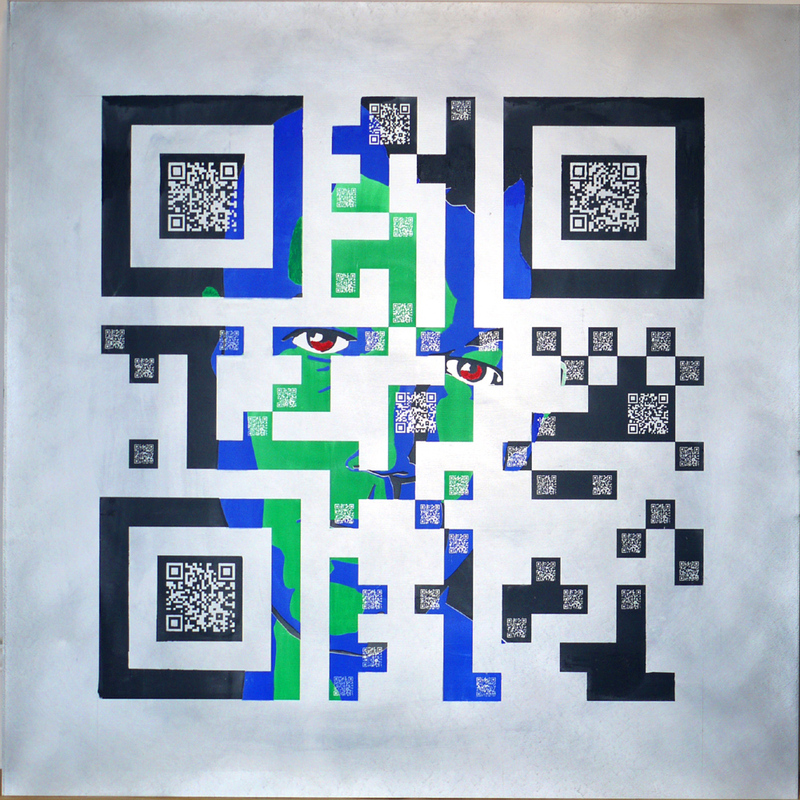 As a whole this work pulls together a number of interests; the visual aspect, the craft side of artworks, the technological side in the form of QR codes and webpages and the play with audience interactivity. Some pics of the process.